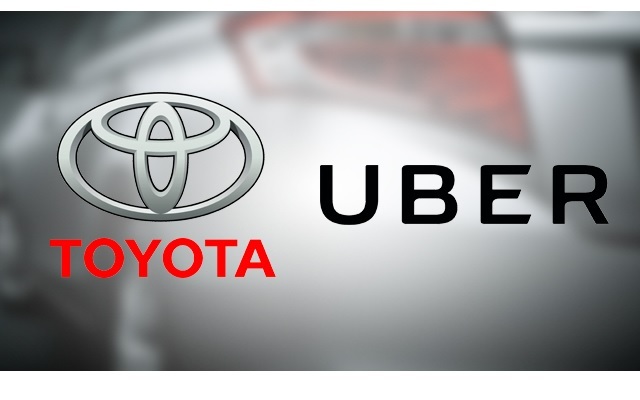 Entries from Digital Intelligence tagged with "toyota"
Uber has secured $500m (£389m) of investment from Toyota as it renews efforts to build self-driving cars for its ride-hailing app, five months after a self-driving car ran over and killed a pedestrian in the US. Car maker Toyota worked with agency Saatchi & Saatchi LA to take its digital marketing up a gear by creating 100,000 video adverts for its new RAV4 Hybrid campaign, each personalised to the Facebook viewers taste. Honda has faked a hack of its own Twitter account, handing the @Honda handle to Skeletor of ‘He-Man’ fame, even taking potshots at other brands, including Toyota and Burger King, with a number of humorous tweets. To promote its new Etios car in South Africa, Toyota promised to make people smile. The Sweets for Tweets installation, created by HelloComputer and ThingKing, did just that by rewarding virtual smile tweets with real-life candy via a Wonka-like contraption. The campaign matched the new Toyota Etios tagline, “Here to make you smile”, promoting a positive brand message and putting the car across as a fun machine to drive. Toyota Motor Europe has undergone a radical change to its consumer website, building a new navigation model based on eye-racking tests in a bid to boost engagement and conversions on its site. The car maker said the new site places a strong emphasis on moving users from knowledge gathering to actively considering purchasing a vehicle. An internet-connected car could become the norm, with features including speech recognition, and internet connection with Wi-Fi and 3G, according to a new industry survey. The poll of 200 car executives, conducted by KPMG, found more than a third (37%) believe "infotainment" in cars is nearly as important as car safety. Car manufacturers are expected to continue joining forces with music, telecoms and IT companies. Toyota has unveiled its latest concept car, designed to be as interconnected and customisable as smartphones. Toyota Motor Corp. President Akio Toyoda unveiled the car this week, dubbed the ‘Fun-Vii’. The car is a striking black, wedge-shaped obelisk whose entire outer skin is a video display screen. Social media strategies are back at the top of the news agenda, with continued explosive growth among Facebook, Twitter and YouTube reminding every company it needs to evolve its strategy to keep place with the what the platforms offer. Facebook's facial recognition software sent European privacy advocates leaping for their email. Watch this play out through the summer and remember it was only a year ago that Zuckerberg landed the message that 'privacy is no longer a social norm'. Toyota has partnered with Salesforce.com to build Toyota Friend, a private social network for Toyota customers and their cars. Toyota Friend will be powered by Salesforce Chatter, a private social network used by businesses, and will be offered, first in Japan, initially with Toyota’s electric vehicles (EV) and plug-in hybrid vehicles (PHV) due in 2011. For example, if an EV or PHV is running low on battery power, Toyota Friend would notify the driver to re-charge in the form of a “tweet”-like alert. Apple has overtaken Google as the 'world's most valuable brand', bringing an end to four years of dominance by the search giant, according to new research. The annual 'BrandZ' report from WPP-owned research agency Millward Brown, calculated brand power using a combination of quantitative customer research and financial analysis. According to the report, the value of Apple's brand grew to $153.5bnn while Google's brand slipped 2% to $111.4bn.